Above photo by: Denna Jones. Licensed under Creative Commons. Adoption of new approaches to construction: an impossible hurdle? Over the last year, I’ve been working towards a masters at UCL exploring how we might encourage the adoption of more resource efficient construction materials and processes by a traditionally conservative UK construction industry. This is the first year of a four-year Engineering Doctorate. My research has highlighted that often contractors are ‘locked-in’ to cost and risk averse positions through a long history of lowest cost tendering in the industry. This sets their improvement trajectory towards the reduction of cost and risks to secure profits from a tender bid which generally had to be lower than others to win the work. These improvements in cost and risk are often found using materials and processes the builder is already familiar with – so-called incremental improvements. This approach makes sense – they understand the process, the material, the risks – they can be pretty confident about the outcome. Over years of incremental development, processes and materials become optimised to a dominant design which delivers on the requirements of lower risk & cost. When contractors rely on optimised processes to deliver shareholder required profitability, they are highly likely to resist something perceived as increasing costs or uncertainty. Contractors become locked-in to these optimised approaches. This pressure to reduce costs is then indirectly passed to other contractors through competition, and directly to their supply chains. Locked-in approaches can lead to behaviours and processes become ingrained, and to unconscious decision making. These behaviours can be difficult to overcome. We can see that certain sectors of the industry lack the motivation to adopt less convenient approaches. In the context of this lack of motivation to change, I wondered what circumstances were needed for unconventional approaches to become adopted. Cross laminated timber (or CLT) is a structural material which first appeared in the UK in the early 2000s. As the use of CLT has grown has grown rapidly in the last 10 years in the UK, I was keen to explore the contexts under which this growth happened. This led to a survey and interviews exploring the adoption of Cross-Laminated Timber (CLT) in the UK construction industry. The findings of the study are described below using the behavioural concepts of the ‘COM-B model’ of behaviour (Michie et al. 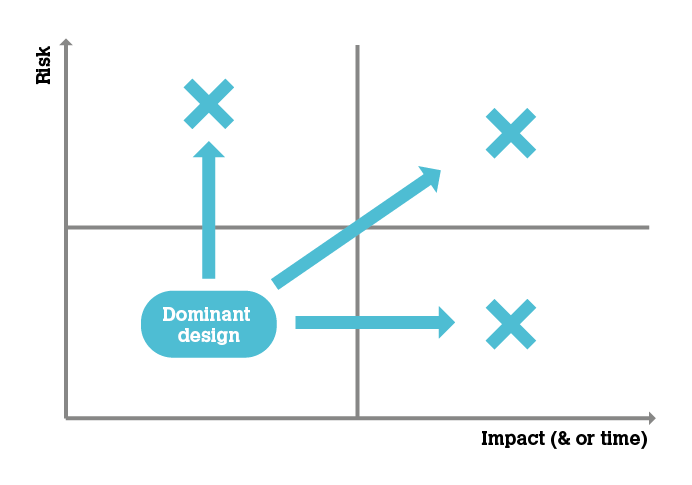 2011), developed at UCL in the context of behaviour change interventions. 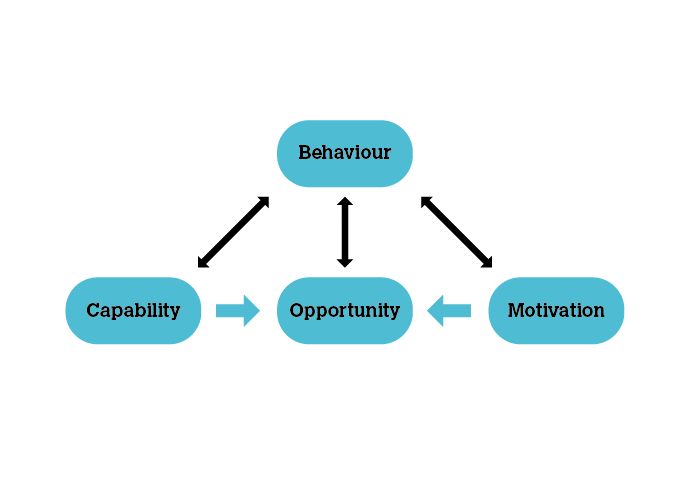 According to this model, a subject must have the capability, opportunity and motivation to display a particular behaviour. In the absence of one of these factors, decision takers are unlikely to adopt a new approach to construction. Survey respondents were predominantly designers who considered their organisations to be sustainable (82%) and innovative (86%) rather than profit-focused (25%). As a result, they were motivated to propose the use of CLT, an innovative and sustainable material. Capability is generally considered to be high, with 85% of respondents describing their organisations as ‘technically excellent’. Further, a lack of training courses was considered to be the least significant reason for non-adoption. This suggests that capability is not restraining adoption of itself. Motivation for many contractor and client organisations to adopt CLT was found to be low due to the perceived impact on cost and risks as discussed above. Designers who consider themselves to be sustainable were motivated to propose the use of CLT. 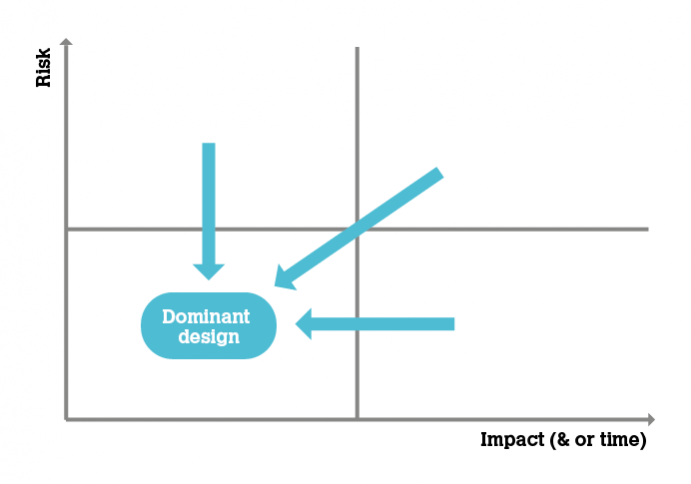 Opportunities for motivated designers to specify CLT were limited due to the lack of client and contractor motivation to adopt new approaches. In-depth interviews highlighted that, in the absence of specific client requirements, opportunities arose for motivated designers to specify CLT when traditional construction approaches could not deliver on the project constraints established by the project, for example: time; site; planning; client values etc. Whilst other materials could have been used, these constraints enabled designers to propose a material which met their values as well as dealing with the project constraints. Importantly, CLT addressed the project constraints without significantly impacting overall costs. This was seen by interviewees as key to securing client adoption. The inclusion of CLT in the tender drawings provided the contractor with the motivation to use a new material as without it, they may not win the work. In summary, the study suggests that motivated industry participants can indeed encourage the adoption of unconventional materials, such as CLT, by identifying and exploiting unique project constraints or contexts. Addressing these constraints to deliver client satisfaction can begin to overcome cost sensitive or risk-averse behaviour in client organisations. If you’d like to find out more about my research, or discuss approaches to unconventional materials, you can contact me on kell.j@usefulsimple.co.uk or @Kell_EngD. For more information on my doctoral research project please see my UCL Profile. References: Michie, S., van Stralen, M. M., & West, R. (2011). The behaviour change wheel: a new method for characterising and designing behaviour change interventions. Implementation Science : IS, 6(1), 42.